Club Penguin Cheats by Mimo777 Club Penguin Cheats by Mimo777: Club Penguin Martial Artworks Catalog Update! With the Club Penguin Card-Jitsu Party over, you probably wonder, "How will I have fun playing Card-Jitsu now?" Well, you are in luck! 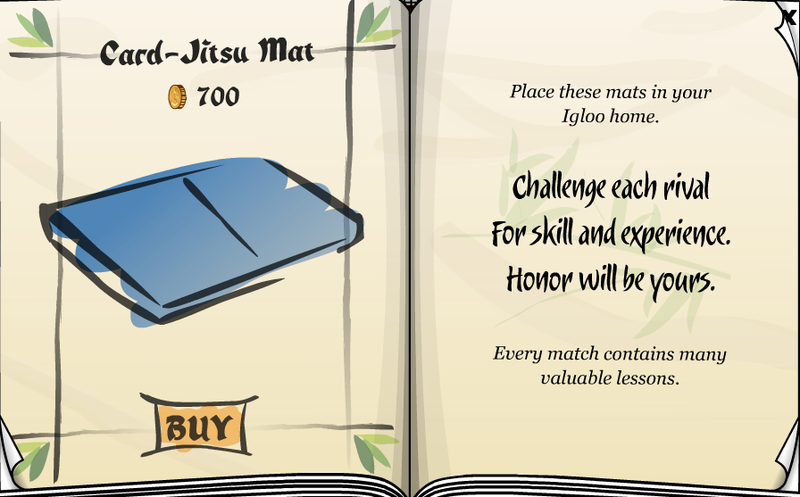 The Martial Artworks Catalog has added ONE new item... Card-Jitsu Mat! You can now play Card-Jitsu right in the comfort of your igloo! Let me know how you like this feature! 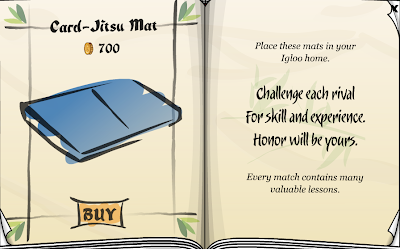 I hope they add other Card-Jitsu mats, don't you? The mat is also in the better igloo catalog. Are there any red ones?